VENTURA, Calif. (February 25, 2015) - The New York Cosmos defeated host Ventura County Fusion 1-0 Wednesday night in a preseason friendly at Ventura College Sportsplex. Midfielder Adam Moffat fired home the eventual winner from 25 yards out in the 15th minute of the match. "First of all, we really appreciate the way we've been treated here in Ventura by the Fusion over the past few days," Cosmos head coach Giovanni Savarese said after the game. "[This was] a match in which I thought we did a lot of good things. "We were able to give minutes to some guys who didn’t get a lot of playing time in Hong Kong and I think offensively we were able to create a lot of chances. We could have done a better job capitalizing on those chances, but I think we’re showing that offensively we have more resources than we did in the past." The Fusion earned a free kick and one of the first real chances of the game in the fourth minute, but the ensuing shot went well over goal and out of harm's way for Cosmos goalkeeper and trialist Brian Holt. From there the Cosmos slowly took control of possession, and were rewarded with a goal after some midfield combination play from Moffat, Hagop Chirishian and Leo Fernandes. Chirishian assisted Moffat on a long-range shot which crept past Fusion goalkeeper Mike Beigarten’s outstretched arms into the bottom-left corner of the net. 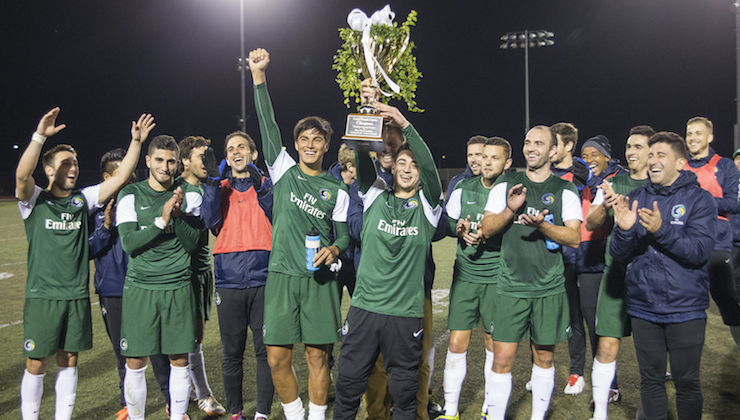 Chirishian wore the captain’s armband for the Cosmos, starting against the team he won a USL Premier Development League championship with in 2009. Fusion forwards Tito Anguino and Javier Castro pushed upfield on occasion in the opening period, but were called offside on a few instances while trying to sneak past the Cosmos back line. Ventura County’s best chance came near the halftime whistle, when midfielder Danny Barrera found Castro one-on-one at the top of the Cosmos box. Castro was unable to get a quality look though, and the following shot attempt by the Fusion was high of Holt’s goal. The Cosmos came out firing in the second half; winger Walter Restrepo and forward Lucky Mkosana, newcomers to the Cosmos squad in 2015, paired well in the opening minutes. Restrepo had a 48th-minute attrempt sail over the bar and moments later created another chance for Mkosana. The 27-year-old Zimbabwe native received service from the wing, turned over his right shoulder and shot just wide of the far post. "This was a good thing for me," said Mkosana said of earning his first start with the team. "The nice thing was that the coaching staff just let me go out and play my game. I received a lot of motivation from them. Mkosana continued to bother the Fusion, shaking off defender Sterling Hancock with a midfield turn and creating a breakaway opportunity in the 58th minute. However, Beigarten was able to step out and push Mkosana’s shot left of goal, and the score remained 1-0. Both sides made several second-half substitutions. Seventeen-year-old goalkeeper Justin VomSteeg took the pitch for the Fusion in the 62nd minute. 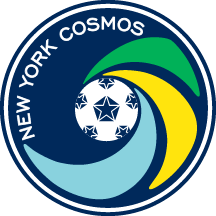 The Cosmos brought on midfielder SebastiÃ¡n Guenzatti, who produced a great individual effort in the 72nd minute that narrowly missed. Barrera, a member of the San Antonio Scorpions and Carolina RailHawks in 2014, was a catalyst for the Ventura County attack throughout the evening. His quick chip into the box in the 70th minute forced Holt into action. The Cosmos goalkeeper smothered the ball before a Fusion boot could reach it. After several chants erupted for him in the stands, Spanish striker RaÃºl came on for Mkosana in the 83rd minute. Trialist Dennis Chin also replaced Restrepo, and Danny Szetela came on for Chirishian in the 89th minute. RaÃºl had a shot on target in stoppage time when a ball in the box was deflected and fell to his foot, but VomSteeg scooped it up. "It was quality experience for all of us," said Mkosana. "It feels good to get the win out here in California." With the victory New York stays unbeaten in preseason play. The Cosmos took home the 2015 Lunar New Year Cup on February 19 with a win over South China Football Team in Hong Kong. Now the club will travel to Sacramento for a matchup at Bonney Field with Sacramento Republic FC on Saturday, February 28. Kickoff for that game is slated for 10 p.m. ET.